This GIST is strikingly hypercellular, with abundant hyperchromatic, almost epithelioid nuclei. A suggestion of fascicle formation is evident. 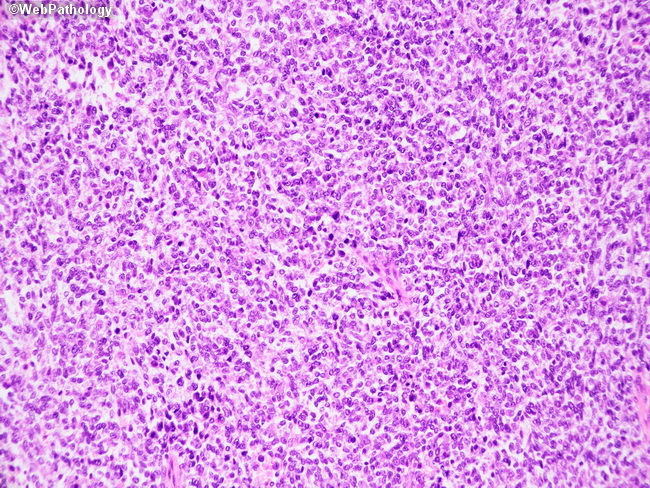 Malignant GISTs almost always are large, with numerous mitoses. Recurrence and metastasis is common in such tumors.